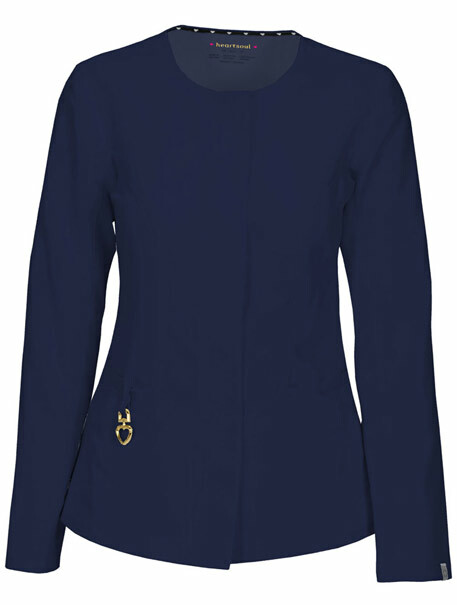 A button front round neck jacket features angled patch pockets, utility loops, and an interior pocket. Also featured is a hidden placket and HeartSoul logo buttons, Heartsoul signature black and white woven neck tape, front and back princess seams, and an easy to remove HeartSoul logo carabiner. Center back length: 25".